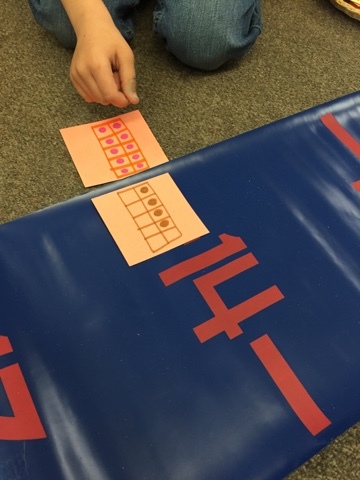 We wanted to challenge our children to think about number relationships and how we can compose and decompose numbers. 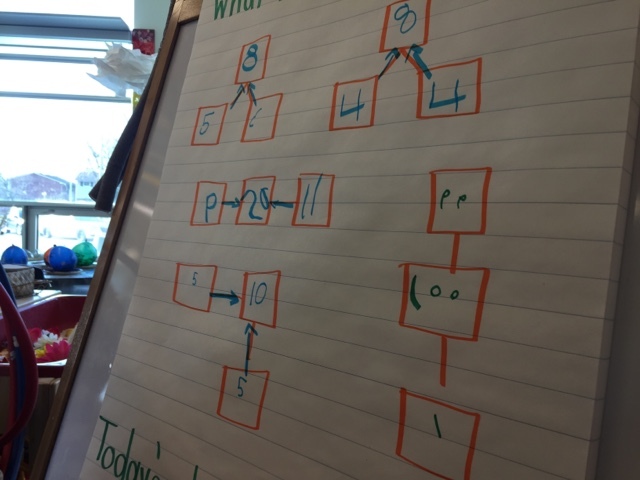 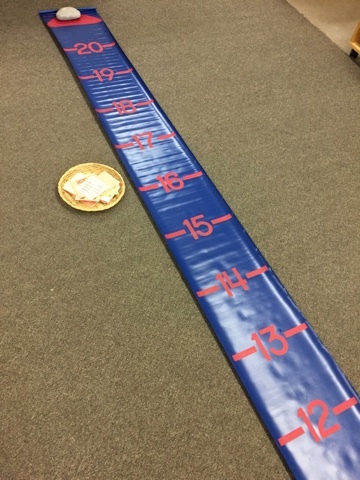 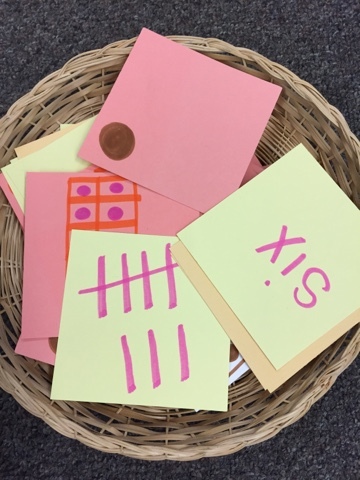 We offered the children a basket of subitizing cards (numbers 1 to 10) but a number line that was from 10 to 20. 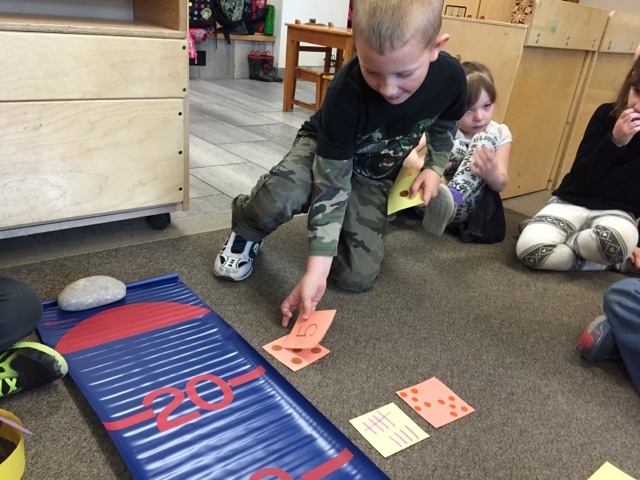 We wondered what they would do with the materials. 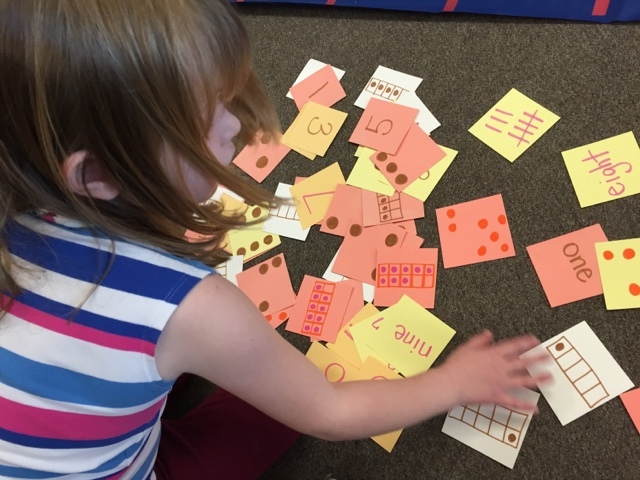 Our subitizing cards show different representations of numbers using tallies, dot arrangements, words, numbers and 5- and 10 frames. 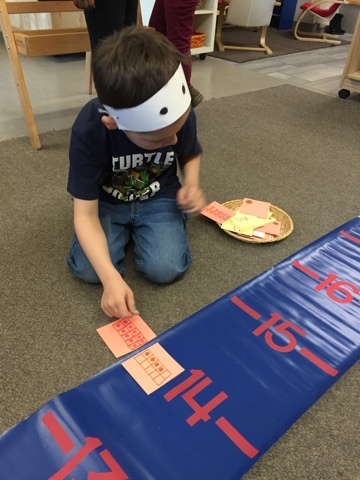 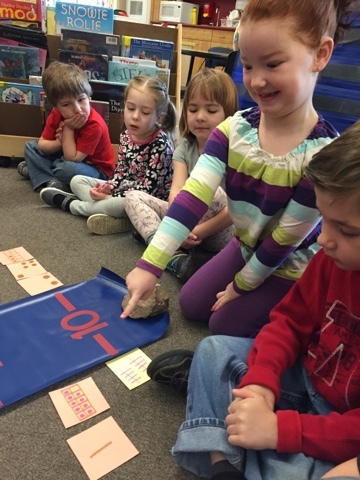 The children automatically began to add cards together and put them next to the number on the number line that represented the sum of the cards. 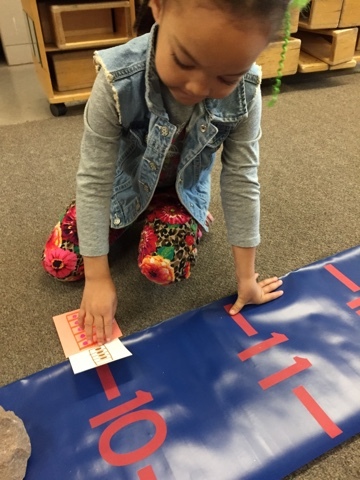 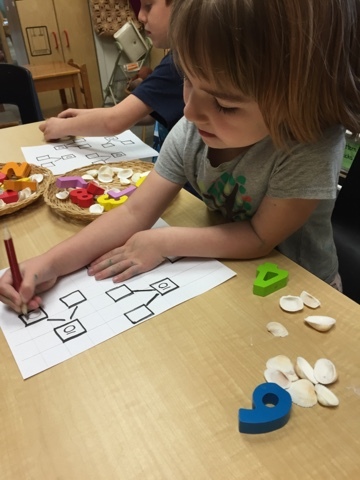 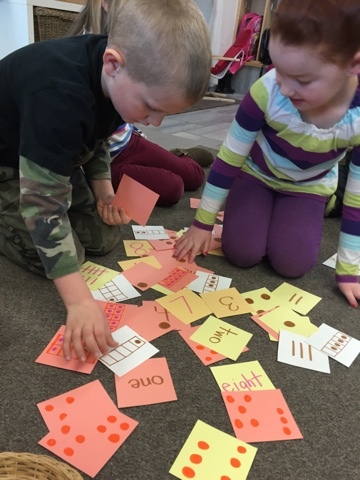 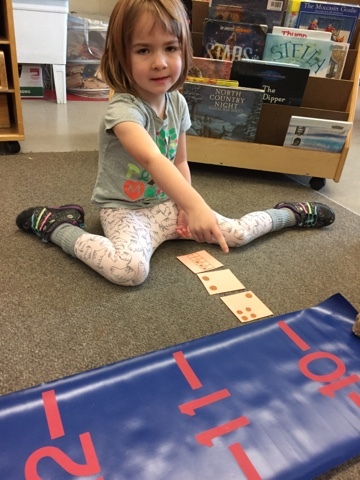 Using subitizing cards challenged the children to think about numbers in different ways while strengthening their ability to instantly recognize a quantity; this builds accuracy and confidence in children's number sense. 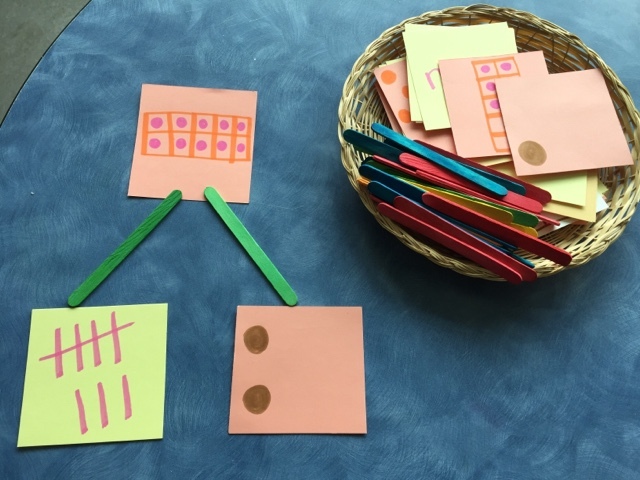 We extended the activity by encouraging the children to continue to compose and decompose numbers in different ways using sticks to show relationships. 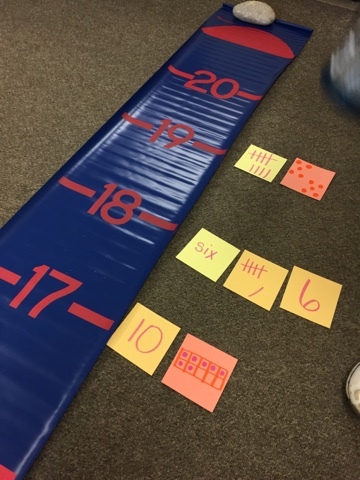 Some children were ready and interested in showing their understanding of these number relationships in a written format! 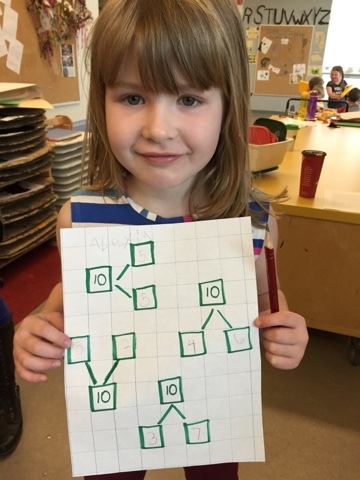 Our children are mathematicians who amaze us every day!